Gary Dale Ross, 59, of Mansfield went to be with his Lord and Savior at 7:38 p.m. Saturday (March 16, 2019) at Carle Foundation Hospital. Mr. Ross was born Nov. 13, 1959, in Champaign, the son of Earl Francis and Ruth Cleone (Mendenhall) Ross Sr. He married Rose Marie Means on April 7, 2007, in Keokuk, Iowa. Gary is survived by his loving wife, Rose Marie Ross of Mansfield; daughter, Samantha Ross (Jason Lee); grandchildren, Stacy, Kayla, Kendra and Jay, all of Mahomet; brothers, Roger Dean (Kathy) Griffet of Killeen, Texas, Earl Francis (Susan) Ross Jr. of Loxley, Ala., and John Alan (Melinda) Ross of Newman; and sister, Ruth Ann (Gerald – deceased) Manint of Bement. Also surviving are his three stepchildren, Jennifer (Terry) Taylor, Chris McVeigh and Rachel McVeigh (Trevor Bane); as well as two stepgranddaughters and two stepgrandsons. Gary was preceded in death by his parents, Earl and Ruth Ross Sr., and daughter, Stacy Ross. 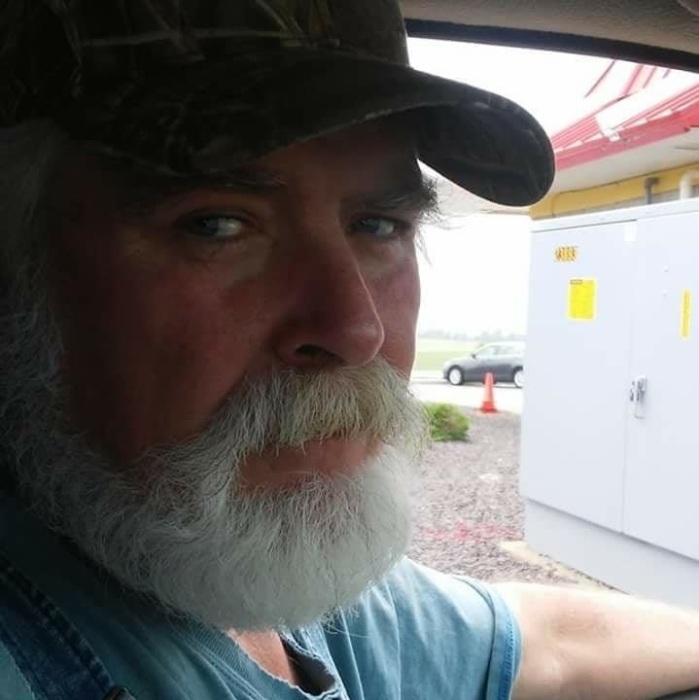 Gary was a farmer all of his life and was also employed by the Mahomet Township Road District at the time of his passing. Gary had been previously employed by Imperial Concrete for many years. Gary attended Mahomet-Seymour schools and graduated from Mahomet-Seymour High School in May 1978. Mr. Ross was a member of Mahomet Church of the Nazarene. Gary never knew a stranger and always had his hand out for a handshake. He was always willing to help anyone who needed his assistance. He was even known to pay for meals of unsuspecting customers in restaurants when they weren’t looking. May Gary rest in eternal peace with all of his family members who have gone before him. We love and miss you very much! Visitation will be held Thursday, March 21, 2019, from 11 a.m. to 1 p.m. at Blair-Owens Funeral Home, 102 E. Dunbar St., Mahomet, with funeral services at 1 p.m. The Rev. Lutz Brauning will be officiating. A private family burial service will be held at a later date. In lieu of other expressions of sympathy, memorial donations may be made to the family.